A handcrafted, bi-carb and beeswax free deodorant paste. 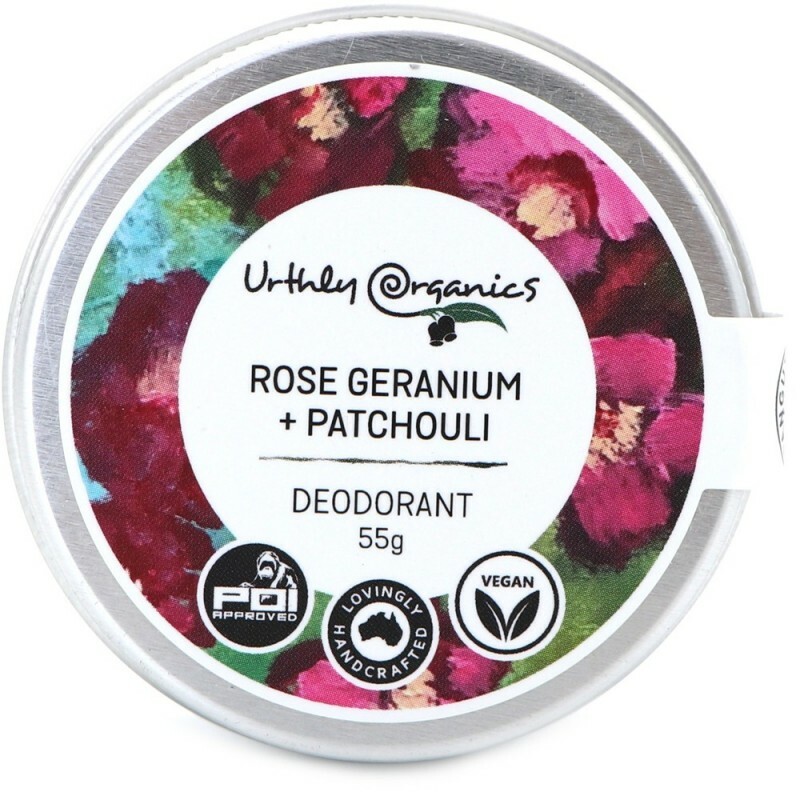 Vegan friendly and certified palm oil free, this paste is scented with rose geranium and patchouli and will keep your underarms fresh and soft. Made in small batches, with love. Packaged in a reusable and recyclable aluminium tin. 55g. Sweet scent of rose geranium and patchouli. *Arrowroot powder, *cacao butter, candelilla wax,*mango butter, *hempseed oil, essential oil (rose geranium, patchouli), vitamin E. *Organic ingredient. I am so in love with this product! The scent is just amazing! Although it doesn't seem to work as an anti-perspirant it is lovely on cooler days and i will definitely be using it throughout winter.